How To Make Silly Putty Without Glue . The destruction set offered chance results contained containing 6, 7, 8, 12, 14, 16, 18, 24, 28, or 30 flexible how to make silly putty without glue actors.... This recipe for edible silly putty changes colors while you mix it! A fun, safe slime alternative (No glue required!) 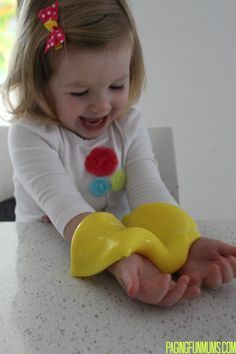 A fun, safe slime alternative (No glue required!) Easy, non-toxic, & only 3 ingredients! Silly Putty is made by Crayola, comes in an egg and a great kids' toy thanks to its sticky, bouncy and gooey properties. Making your own version is a craft activity you can do with just a few simple ingredients--and you can do it with your kids in your own kitchen. While traditional methods involve ingredients such as borax or liquid starch, you can make silly putty using flour as well.... The glue you want to have handy is a polyvinyl acetate (PVA) glue which is just Elmer's white school glue or something like it. This is a type of thermoplastic synthetic polymer that, when combined with the right ingredients, will behave like Silly Putty. Add 1 drop of food coloring to the glue mixture if you wish to color the bouncy putty. Stir the food coloring in well to distribute it evenly. Stir the food coloring in well to distribute it evenly. Add about 2/3 tbsp. 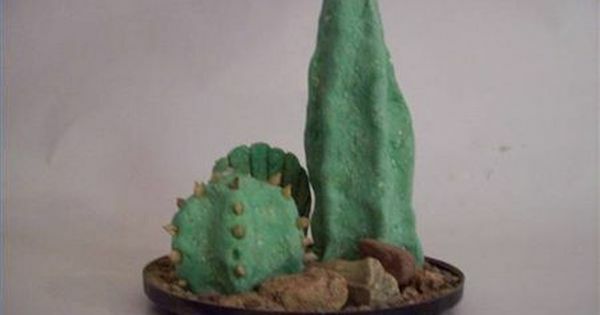 of the Borax mixture to the white glue and water and mix well -- use the additional Borax mixture for more bouncy putty or discard it.... Add 1 drop of food coloring to the glue mixture if you wish to color the bouncy putty. Stir the food coloring in well to distribute it evenly. Stir the food coloring in well to distribute it evenly. Add about 2/3 tbsp. of the Borax mixture to the white glue and water and mix well -- use the additional Borax mixture for more bouncy putty or discard it. 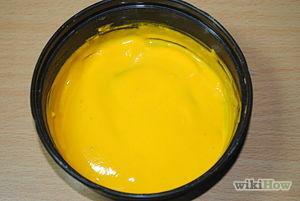 How to Make Silly Putty – Colored Glue The first thing you are going to want to do is pour the glue into a clean bowl. You want the bowl to be clean because…well, do you want your Silly Putty to have nasty flecks of dirt or old food scattered throughout? 4 oz Elmer’s Glue All . 2 oz Sta-Flo Liquid Starch (in laundry aisle) food coloring. The basic silly putty recipe is 2 parts glue and 1 part liquid starch. The more glue you add the more silly putty you'll get. Next add about 25ml (5 teaspoons) of water to the tumbler and sprinkle in one teaspoon of talc. Stir thoroughly with the spoon to mix the contents of the tumbler until you have a smooth grey paste.